"We expect the approximately 80.93ha of remaining land in this township to be developed over the next 5-7 years. These developments are expected to generate more than RM700 million in gross development value," said chief executive officer Charlie Chia after the launch of Bandar Seri Putra's new sales gallery on Saturday. Located on the ground floor of a three-storey building with a mezzanine floor, the new sales gallery showcases products offered within the township of Bandar Seri Putra, UM Land's flagship township in Selangor. "This three-storey building packs a simple but yet elegant design. It demonstrates the simplicity and practicality that we have infused in our various developments in Bandar Seri Putra," said Zulkifly Garib, UM Land's director of operations. Over the next three years, the company plans to develop apartments and bungalows in the township - with the balance of land to be developed into commercial buildings. 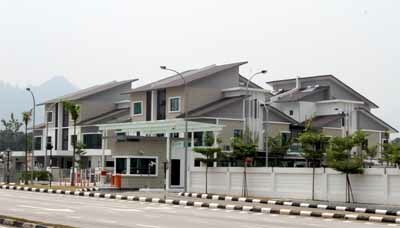 "Bandar Seri Putra is strategically located and easily accessible. Located within the Multimedia Super Corridor, it is easily accessible from the Putra Mahkota interchange, along the KL-Seremban highway and adjacent to the township. 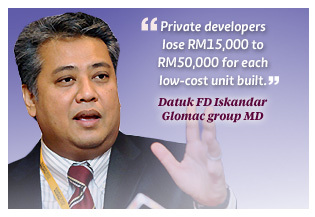 "Residents will enjoy fast and easy access to Putrajaya, KLIA, and the nearby education institutions encompassing various universities and colleges such as Universiti Putra Malaysia, Universiti Kebangsaan Malaysia and Kolej Universiti Islam Antarabangsa Selangor," Zulkifly added.